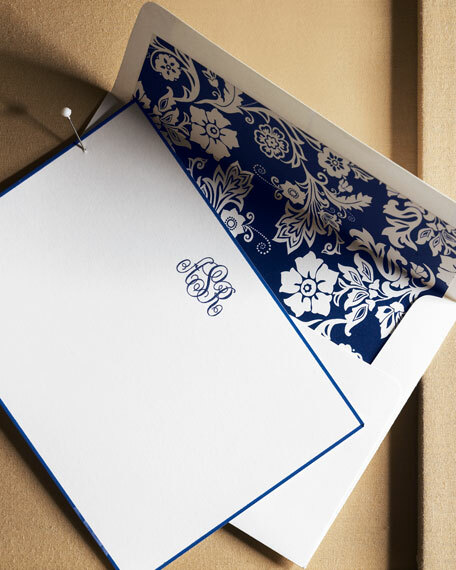 Navy hand-bordered 6.25" x 4.5" cards featuring raised navy ink and lined envelopes. 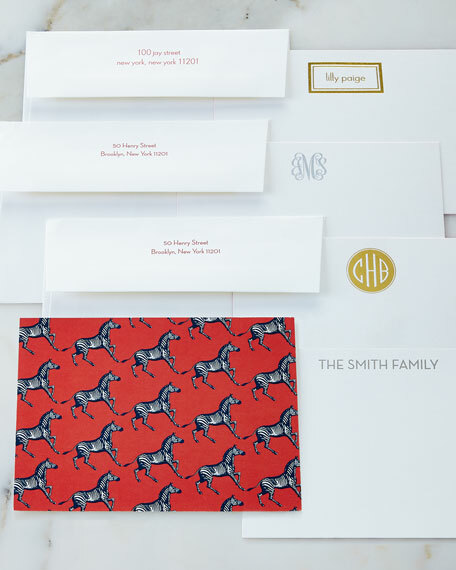 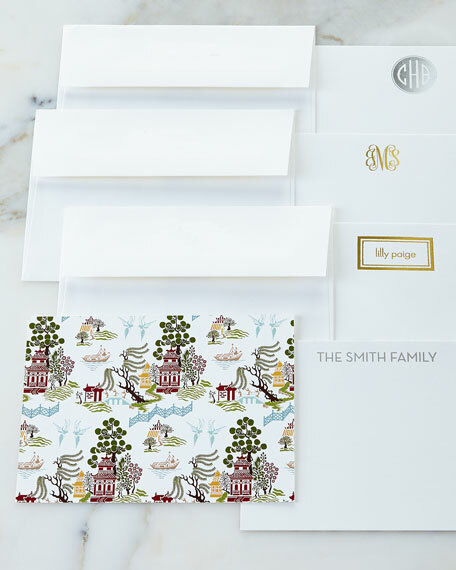 Available with three-initial monogram in style shown; your choice of Floral or Navy envelope lining. 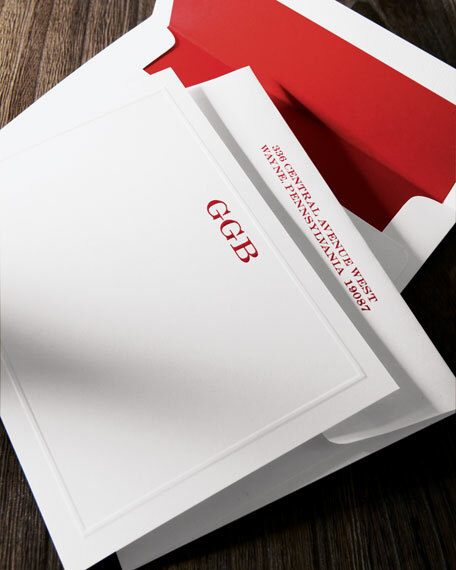 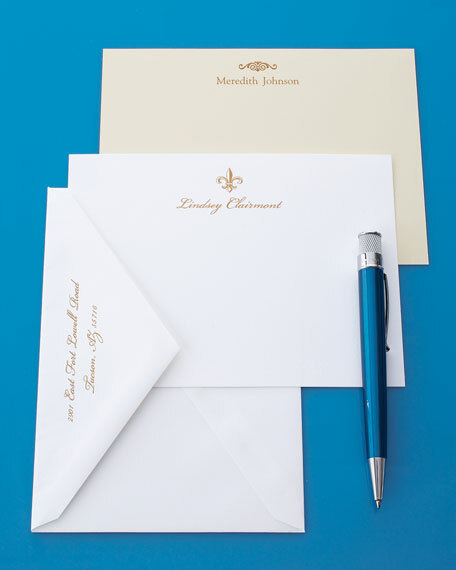 For personalized envelopes, specify two-line return address (up to 36 characters/spaces per line).